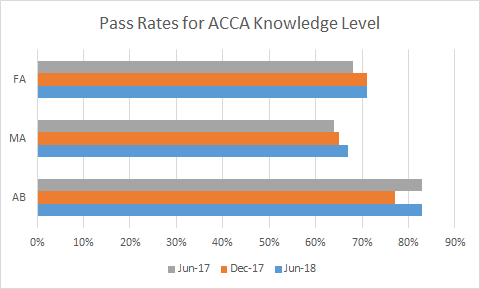 ACCA Knowledge level is the very first step to the ACCA qualification and consists of three modules: Accountant in Business, Management Accounting and Financial Accounting. ACCA Knowledge Level can not only earn you Diploma in Accounting and Business but also build a strong foundation for a career in Accounting. Students can start this program after 12th and commerce graduates are exempt. Training by ACCA Qualified trainer or experts in the field. Get career counseling and placement assistance. Clear your subject doubts face-to-face with experts. Mock exams and tests in classroom with faculty feedback. Solve past examination question subject wise. This level provides complete introduction to the foundations of effective management, this paper will help you to understand the present-day business environment and its impact on the operation of the organisation. It also focusses on the role of the accountant in the organisation, their ways of functioning, and how they can contribute to the organisation in the most ethical way. Management Accounting teaches you to utilise the quantitative statistics, available data, and other elements to formulate strategic decisions for the business. This branch of accounting not only focusses on the technical aspects of accounting and reporting but also how to implement the available information in the decision-making process. You will get full grasp on the underlying principles, core concepts, and rules and regulations of financial accounting and acquire technical expertise in double-entry accounting techniques, including the preparation and interpretation of basic financial statements. Passed Class 12th with 60% Marks in English, Mathematics and Accountancy Or Completion of Foundation in Accountancy (FIA). Commerce graduates, IPCC(both group cleared) get exemptions from all 3 exams. Students receives certificate of achievement if they score 85% or above in any individual. Students clearing the knowledge level i.e F1, F2, F3 exams can earn Diploma in Accounting and Business after they complete ethics and skills module.